Our goal at Andover Central Middle School is to create a safe and enjoyable learning experience for all of our students. The foundation of this learning experience is built upon positive relationships constructed by ACMS staff and a genuine interest in seeing all students excel. Creating relevant learning opportunities that prepare students for lifelong success and maintaining high standards for academic achievement is our top priority. In reaching our goals, students will be exposed to a variety of essential skills, including academic and character traits required in the 21st Century workforce. 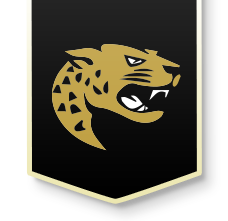 From character education and a solid foundation in core academics to a wide variety of exploratory and extracurricular activities, Andover Central Middle School provides an opportunity for all students to be successful. We are confident that the school year will be a positive learning experience our students will never forget. We invite you to join with us in building a successful future for our students. Your involvement in assisting with school work, monitoring academic performance, communicating with teachers, and getting involved in any of our volunteer organizations will help us create a bright future for our students. We embrace the opportunity in partnering with you as we continue to provide a quality and memorable learning experience. Andover Central Middle School has been recognized as a Kansas Governor's Achievement Award recipient each year since 2011. To receive this prestigious award, schools must have achieved Standard of Excellence in both reading and mathematics. Additionally, the school must have made Adequate Yearly Progress (AYP) in both reading and mathematics and one additional measure as well as being among the top 5 percent of schools in both reading and mathematics on the Kansas State Assessments.